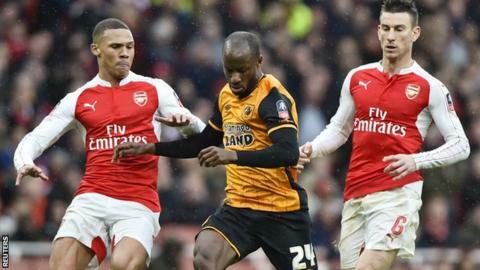 The draw for the FA Cup quarter-finals will take place live on BBC Two at 18:00 GMT on Sunday. It follows Chelsea v Manchester City, which is live on BBC One (kick-off 16:00 GMT). The draw for the last eight, which will take place across the weekend of 11-14 March, will be conducted by Mark Chapman, Graeme Le Saux and Trevor Sinclair at Stamford Bridge.